Doesn’t it always happen this way? You never find something when you’re looking for it, and then, when you’re not looking for it at all, you stumble across it! That’s what happened today as I was walking through a park, searching for raptor nests. I spied a possible nest cavity in a snag and made my way along a muddy path to the bottom of the tree. 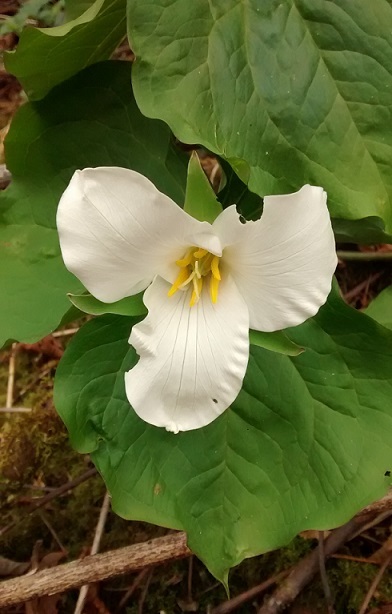 Suddenly, I saw two trillium plants. What a happy sight! 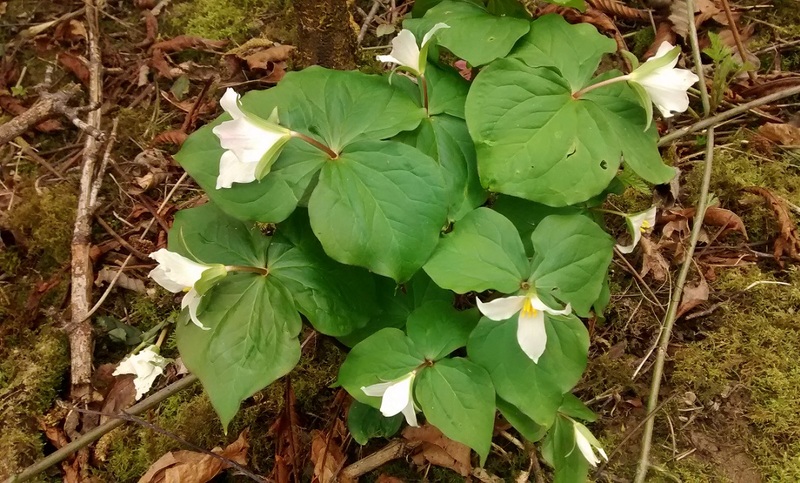 Native western trillium in bloom! This spot was remote enough, though seemingly used by transients, that it might survive as a trillium refuge. I had searched another area unsuccessfully, where I had seen the flowers several years ago. I’m happy that there are still some in the heavily used park.